An important announcement has been released regarding EOG’s favorite theme company. 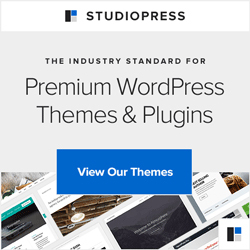 Studiopress will be raising the price on their Pro Plus All-Theme Package next week. If you’re not familiar, the Pro Pack gives you all 36 current child themes, *plus all future child themes* with updates and support for each. The price has been $249.95 forever, even though they’ve added tons of new child themes in the last 6 months alone. Plus, they’ve got their 37th child theme, Midnight, coming out this very week. 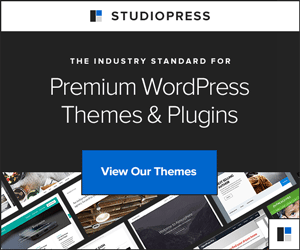 So, if you’ve been thinking of getting the StudioPress Pro Plus All-Theme Package, you’ll want to do it before the end of the day on May 11, 2011. That’s when the price goes up! Also: Don’t forget to enter our Like Eco-Office Gals Win StudioPress for your chance to win a copy of Genesis and your child theme of choice when we reach 1,000 fans!